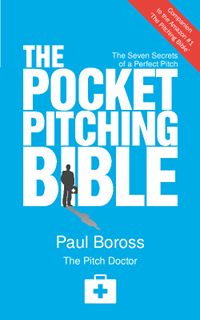 Everything you need to know to get your message across, The Pocket Pitching Bible is a unique companion guide to the original book, The Pitching Bible. This new book is trimmed right down to the essentials; just the checklists, exercises and core content that will help you to prepare for any pitch, quickly. Take it everywhere with you and never be put on the spot again!